Stay up to date on our latest publications, events, and news! In case you didn’t know, Amendment accepts submissions all year long. Click on our new Call for Submissions poster for more info on what and how to submit, or just to see how awesome it is! Come out to the Student Media Center Open House on Monday, August 21st from 2-4 pm to learn about Amendment and what we do, as well as meet some of our staff! We hope to see you there! Our last zine of the Spring 2017 Semester is titled, “Don’t Lose Your Head,” and reveals the need for people to think critically while looking beyond the surface of certain issues with our environment and society. Our 2nd Annual Film Festival was a success and we hope you got to attend. The Amendment staff collectively chose the film, “My Chaos,” as the winner of the Film Festival. If you missed the event, but still want to see the amazing films that were shown, they are available in the “2017” tab under “Multimedia. We have also uploaded an album of photos from the event, which are available here. Last year we started our annual film festival to showcase multimedia work and films by VCU students that promote and prompt discussion on progressive ideas. 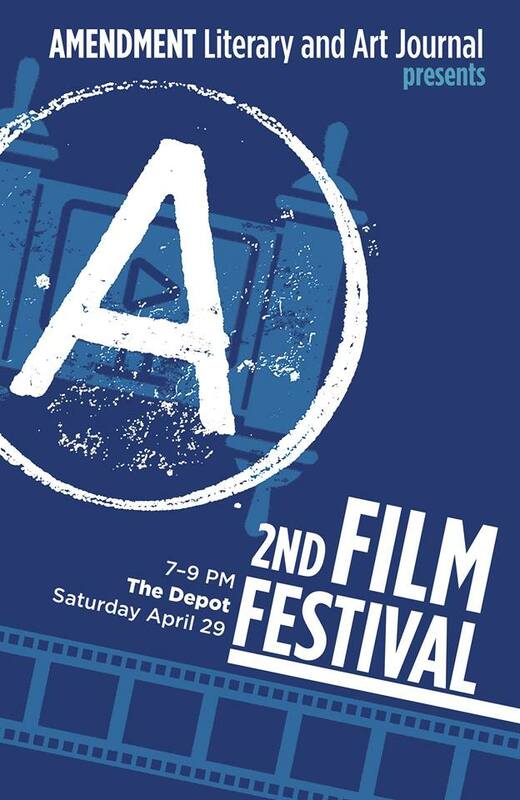 Come join us at the Depot (814 W. Broad St.) from 7-9pm on Saturday, April 29 for this free event to view some amazing short films made by VCU students about topical, social issues. There will be films, food, and good conversation! Use the link above to go the Facebook event page for more information. We filmed in the Compass to find out what people in the VCU community were angry about with our Soapbox video project. The purpose of the project is to dive into the minds of the people we see everyday and figure out what they think about current events and our society. The video will premiere at our 2nd Annual Amendment Film Festival. Click the title link to find out more and view our previous Soapbox Sessions.